Publisher: NY: Random House (1972), Westminster, Maryland, U.S.A. 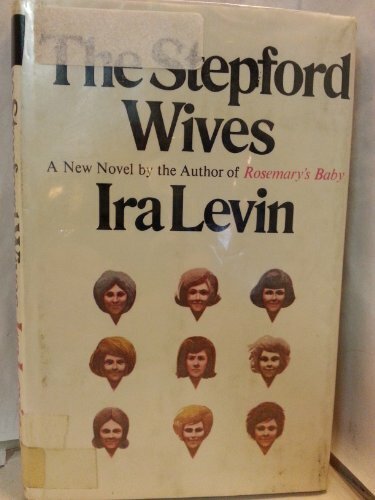 Novelist and playwright Ira Levin (1929-2007) was a native New Yorker whose books include A Kiss Before Dying, Rosemary's Baby, This Perfect Day, The Stepford Wives, The Boys from Brazil, Sliver, and Son of Rosemary. His plays include No Time for Sergeants, Critic's Choice, and the longest-running thriller in Broadway history, Deathtrap. An alumnus of New York University, Levin also wrote the lyrics of the Barbra Streisand classic "He Touched Me," and was the recipient of three Edgar Allan Poe Awards from the Mystery Writers of America (including 2003's 'Grand Master'), as well as the Horror Writers Association's Bram Stoker Award for lifetime achievement.